The Instant Pot electric pressure cooker is the #1 selling small appliance on Amazon. It has been a huge hit due to the flavorful dishes you can prepare in it and it’s time saving benefits. Maybe you’re thinking about getting an Instant Pot and want to know if you can use one. Maybe you received an electric pressure cooker as a gift and you haven’t taken it out of the box yet. I can help! I am available to teach a class at your New Jersey location on how to use this amazing appliance. 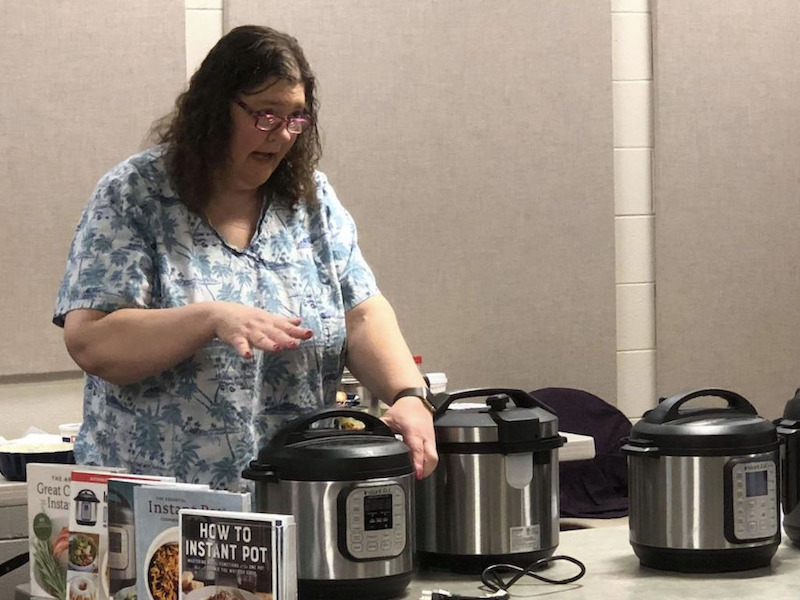 Class participants will get see different electric pressure cookers up close, ask questions, watch recipes being prepared and sample the finished foods. This type of class is perfect for a group of family or friends, community groups and libraries. 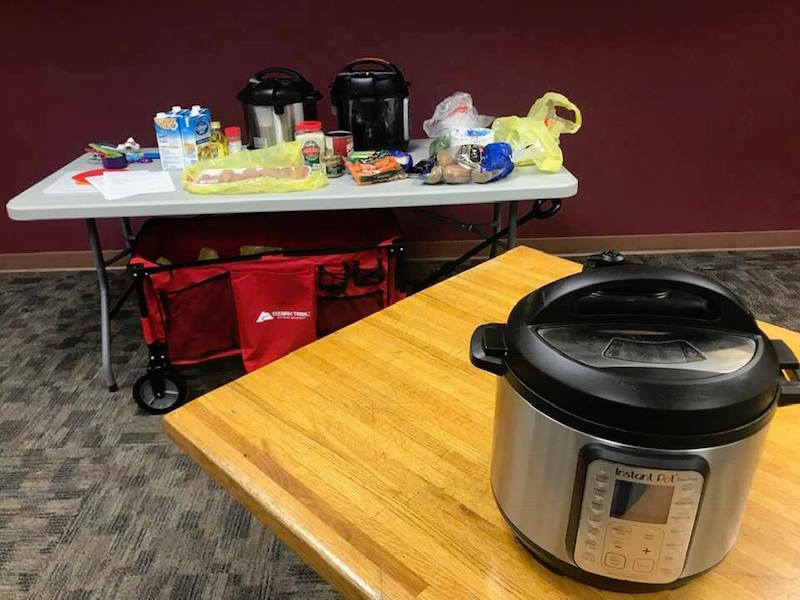 One class typically includes covering the using an electric pressure cooker, as well as making 2 to 3 recipes depending on your needs. Email me with any questions or to discuss your needs. How long is one class? Two hours is the ideal length for a class and making 2 recipes. It is possible to shorten a class to 90 minutes if needed, depending on what type of recipes you want covered. It is also possible to extend a class to 3 hours, giving time to make up to 3 recipes. Is a kitchen required? What equipment is needed? I do not need a kitchen, simply a table with access to 2-3 power outlets to plug into. I bring 3-4 units with me, 2-3 for cooking and 1 for looking/touching/questions. I bring everything needed to make the recipe, and other items that can be used with an Instant Pot that people always appreciate learning about. These classes are only available in New Jersey.